Derby County midfielder Callum Guy has left the club to join League One side Blackpool on a permanent deal after a successful loan spell. The move was announced on the club’s official website, and it comes after Guy impressed in a loan spell with the Tangerines that expired recently. The 22-year-old has been with Derby for a number of years after progressing through the academy ranks, but has failed to secure a regular place in the starting XI. Guy has made just one appearance for the Rams, in the Carabao Cup against Barnsley last season, but he has made a positive impact at Blackpool this season. 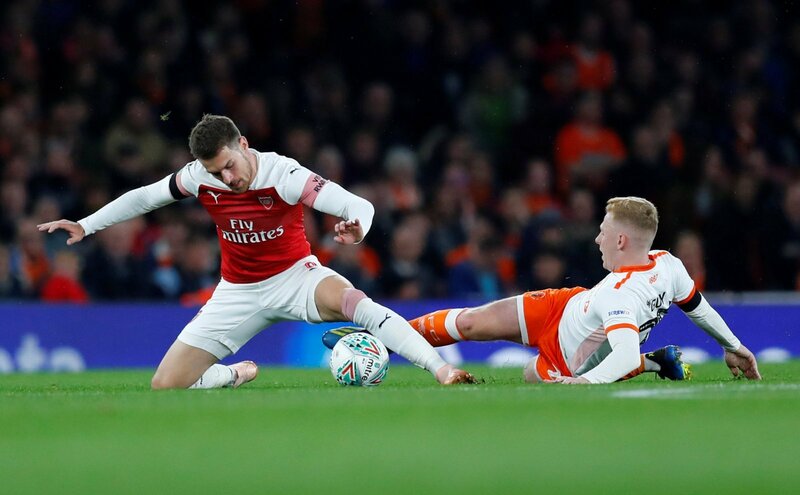 The midfielder has made 21 appearances for Blackpool and will be hoping to keep them in play-off contention after a poor run of form has seen them slip to ten points adrift of the top six. Guy has also had a number of impressive loan spells at Port Vale and Bradford, but will be keen to make a name for himself at Blackpool now after making the bold step away from Derby. This is a wise move for both parties involved. Guy would have been well down the pecking order at Derby and it’s no surprise to see him making his loan move at Blackpool a permanent one. He could be one to watch for the future, and could play a starring role for the Tangerines in the coming months.